From the front of the house to the back of the house, SPARKLE has you covered. With a wide variety of table linen sizes and a broad palette of colors available, we can outfit all your dining needs. And for those that work hard behind the scenes, we offer kitchen uniform programs including chef wear, line cooks and maintenance personnel. SPARKLE offers aprons and towels for each specific function of the kitchen and dining room. No matter how good your food is, your restaurant customers won’t return if your linens aren’t clean. And why should they? The cleanliness and quality of the linens reflects the cleanliness and quality of the restaurant. Impress your guests with our line of classy table linens. Linens subjected to the wear and tear of days in the kitchen are prone to fall apart – and you can’t have that. Trust SPARKLE to provide you with quality kitchen linens that can withstand anything your cooks wipe on them. Your staff represents you and your restaurant. We’ll keep them looking good with our line of hospitality uniforms. 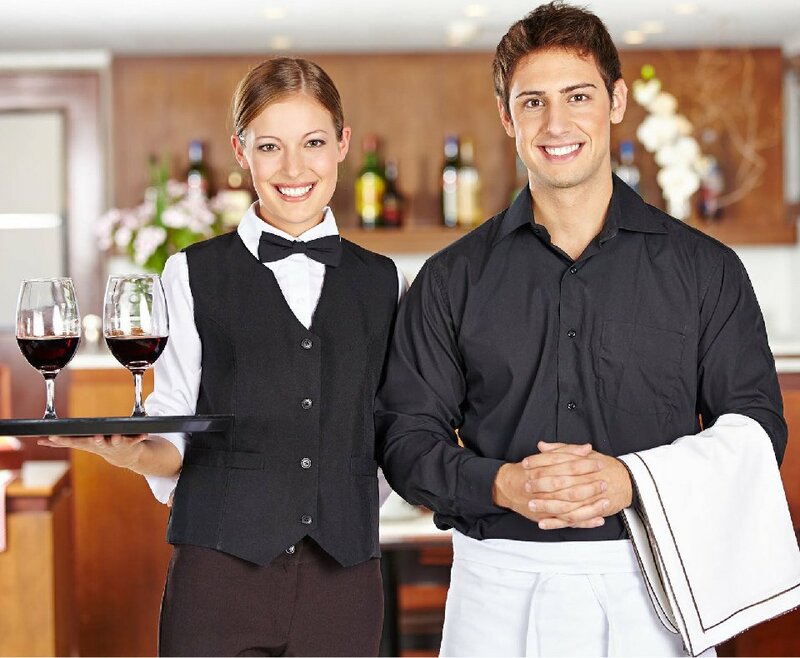 We offer apparel for chefs, line cooks, servers and maintenance personnel. We also have aprons for the front and back of the house. SPARKLE Uniform & Linen Service prides ourselves in providing exceptional service to our customers. Our customer-focused approach provides reliable and trouble-free uniform and linen rental service to Bakersfield and the surrounding area. At SPARKLE, we are experts in designing and implementing rental programs that meet the needs of our customers. We’ll work with you to make sure that you get exactly what you need to keep your business looking sharp and, well, sparkly. Contact us today to get started on your quality hospitality linen service! Our phone number is 661-634-1130.